So for me to end up being involved in an organisation that is based almost entirely around sailing is one of life’s most unexpected twists. However 12 months on from my initial introduction to Sailors with disAbilities (SWD), this charity continues to intrigue me. The passion from the volunteers in giving such large chunks of their own personal time (in many cases weekly and in some cases daily) to help deliver SWD programs to disabled and disadvantaged youth and their carers is quite inspiring. My small role within SWD is to help tell the stories of the organisation – both the volunteers and the participants. 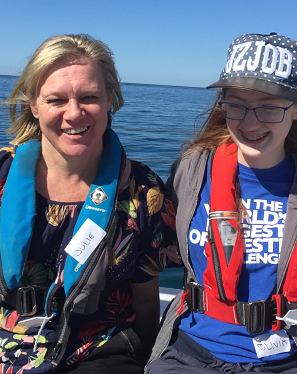 Until 12 months ago I was unaware of the impact the freedom of sailing could have on disabled or disadvantaged youth, let alone the huge mental health benefits it can play for adult carers and volunteers alike. 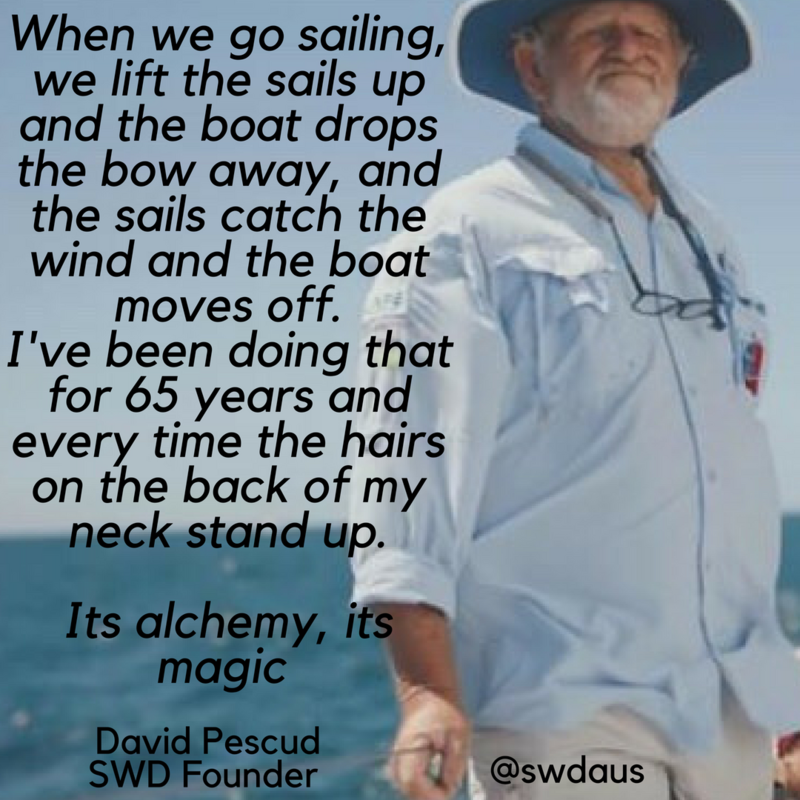 It shouldn’t be a surprise because David himself is testament to how life changing the opportunity to sail can be, especially for those with a disability or at a disadvantage because ‘on the water everybody is equal’. 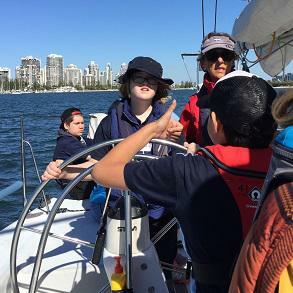 Recently I was welcomed on board the 52ft Racing Yacht Kayle in Southport for two Winds of Joy Programs (during the 2018 SWD NSW & QLD Outreach Program) by a crew of volunteers, all of whom had travelled up from Sydney to offer the programs to children up & down the east coast. The morning group of participants was made up of teens from a Brisbane High School, their teacher and their support teachers. Some of the kids looked a little nervous at the start of the journey, however once we set off out through the heads at Southport I could see them all begin to relax. I even saw one of them sitting on the side doing a spot of meditation. Looking completely at ease and carefree, face turned upward to the sun, breathing in the fresh salty air. The kids all had an opportunity to steer and to help out with the fenders, some learning how to tie knots and some just took in the whole adventure, an adventure that offers them a break from everyday struggles. One particularly broody teen told me she never smiles, that she hates smiling and even at Christmas she is only briefly happy when she receives gifts. She said ‘you will not be able to get a photo of me smiling’. With the first program of the day completed, the crew quickly tidy up the lifejackets and prepare for the next program, some of the crew sneak down to the galley and quickly prepare some sandwiches for lunch, and with just 30 minutes between programs this is carried out with haste. And before we know it a new bunch of navy blue bucket hats are bouncing excitedly at the Marina Gates. This second program for the day in Southport was with 15 highly energetic young students aged mostly 9-11 years of age. It seems one of the only things sure about these kids is there unpredictable nature and spur of the moment actions. I have to say the way in which the Skipper & crew managed to wrangle these super excited kids is impressive. And when Skipper Mike runs through the safety information at the start of the program and he jokingly adds that they haven’t lost anyone overboard yet, you can only be impressed by this statistic. Many of these kids are ‘neuro diverse’ and almost all of them have a certain degree of anxiety, as well as not ever having been on a boat before, yet the open air and gently rocking waves somehow tends to calm them. Each child is given the opportunity to steer the boat, wind the winch, tie and untie knots, and though anxiety may cause some of them to decline opportunities to participate at the start of the program by the end they usually all feel so at ease that they take up the offers. And when you watch them, the pride in their faces is unmistakable. And so here I am, an accidental sailor 12 months after I became involved with SWD, and I am still amazed by this very well-oiled machine. I know how hard they work for every donated dollar they receive, I know how much time and effort goes into the programs, training and organising the volunteers and coordinating the maintenance required for the fleet. I understand just how important these programs are to the participants and their families. But mostly I am just so honoured to be surrounded by such giving people. I have no doubt that every day at SWD there is someone being empowered to be a better version of themselves. Before I finish, remember the broody teen who said I wouldn’t be able to get a photo of her smiling? Well I got a photo of Hunter (not her real name), but out of respect for her reputation as a broody teen I won’t show anyone, but I know I saw a smile and real joy in her face, during our sail. I hope that she can carry that forward with her.